There are quite a few huge advantages that 3D printing has over traditional machining and injection molding. However, as with every method of production, 3D printing does have its drawbacks. As always, it is important to consider your part’s intended application as that may determine whether 3D printing or traditional manufacturing methods are right for you. 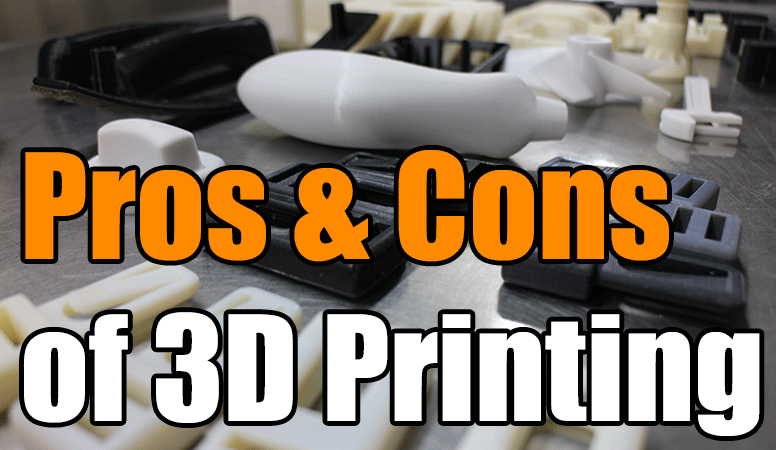 Below, we’ve broken down a list of pros and cons of 3D printing and discussed each briefly to help you identify whether or not 3D printing is the best solution for manufacturing your parts. 3D printing boasts the ability to produce complex geometry that machining and injection molding may struggle with or may simply not be able to make. Often, complex geometry cannot be made with traditional methods because some areas may be impossible to machine or be able to be removed from a mold. However, with 3D printing, the additive process and use of support material make it possible to make any type of geometry. This may enable you to simplify your designs, replacing an assembly with a single 3D printed component. 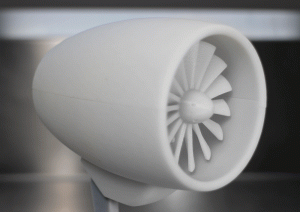 With 3D printing, prototypes can be produced in mere hours. This greatly increases the speed of the design process since parts can be in hand within hours or a day and the next design iteration can begin. Additionally, with each design modification, a new prototype can be made quickly and inexpensively with 3D printing as opposed to the long and expensive process of machining the prototype. Inventory can take up a lot of space, especially if you’re not using the part as often as intended. To avoid an overstocked and costly inventory, 3D printing offers the ability to print on demand. Printing on demand follows the Just in Time inventory management method and, therefore, rather than producing in bulk, it will free up inventory space and financial assets. Because 3D printing designs are housed as CAD and STL files, you can essentially keep a virtual library of all your parts and print them only when you need them and in the exact volume you will require. Furthermore, because you haven’t invested in tooling or inventory, you can change your design at any point at almost no cost. This saves you from excess defective or outdated inventory as well. 3D printing’s primary material is plastic, which may seem inferior to steel and aluminum. However, using plastic in place of metal has great advantages. These plastics are much lighter than their metal counterparts. Many automobile manufacturers have switched to using 3D printed parts for their vehicles, which makes the cars lighter and, therefore, more fuel efficient. In most cases, plastic can be substituted for metal and provide the same ideal results for your part. Thus, it may be worth taking a look at your part to consider if you really need to produce your part in metal at all. 3D printing is an additive manufacturing process. This means that only the material needed to produce the part is used. As opposed to machining which cuts away large chunks of non-recyclable material to produce the part, 3D printing produces much less waste. As a result, this reduces the material cost of production because you are only paying for the material that you need. As mentioned above, 3D printing excels in speed and can print parts in just hours depending on the part’s size and complexity. While waiting for your part to be machined or a mold to be cut for injection molding, you could already be several stages ahead with 3D printing. 3D printing is not yet versatile enough to work with most materials. Primarily, 3D printing produces parts in a limited selection of plastics of varying mechanical properties. Some 3D printers will work with metal, but that is also limited in selection as not every metal or plastic can be temperature controlled enough yet for printing. The vast majority of 3D printers, including industrial grade printers, have small build chambers, at least compared to mills and injection mold presses. Any part larger than a printer’s build chamber would need to be divided into sections and glued together in post processing. This can increase costs as it will take longer to print the part and require some manual labor. Post processing is not limited to larger parts. Rather, in addition to larger parts requiring assembly in post processing, most 3D parts typically need some type of clean up in post processing to remove support material and smooth the surface finish. This can include Waterjetting, sanding, a chemical soak and rinse, air or heat dry, assembly, and more. The amount of post processing a part will need ultimately depends on what 3D printing technology is used in the production, the part’s size, and the part’s intended application. Regardless, it is important to remember that while 3D printing can produce parts quickly, you may get slowed down in post processing. If you need a large number of parts, generally anything greater than a couple hundred units, 3D printing is not the best production process. When seeking to produce large volumes, it may be most cost effective to injection mold the part. While initial investment for injection molding may be much higher than that of 3D printing, the cost per unit becomes significantly cheaper when producing large volumes. 3D printing’s cost remains static. 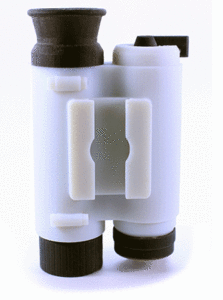 For more information on how this works and a comparison of 3D printing versus injection molding, click here. With additive manufacturing, parts are printed in layers that adhere to one another during the process. Unfortunately, this means that under certain stress or part orientation, the layers may separate, causing the part to break. 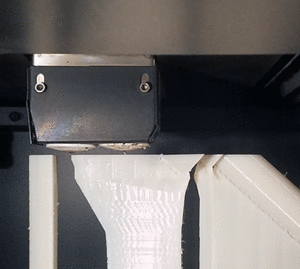 For FDM, this is a more significant problem than other 3D printing technologies. Polyjet and Multijet parts are solid but their materials tend to be much more brittle. To avoid the delamination of layers completely, such as for parts that will be under a lot of stress, it may be more beneficial to use injection molding since it produces homogenous parts. Here at 3 Space, we specialize in 3D printing for industrial applications. If you’re not sure about which 3D printing process to use for your part’s manufacturing, our experienced engineers can help you choose the right method for what you need. We can make recommendations and help get you on the right track for an efficient production. For a more information, contact us today.